Quizzes are an important part of many online training programs. While some are meant to reinforce a lesson, others aim to measure a learner’s comprehension and retention of the material. Whichever the case, accurate scoring is a critical part of any well-designed quiz. Luckily, Articulate Quizmaker has you covered. 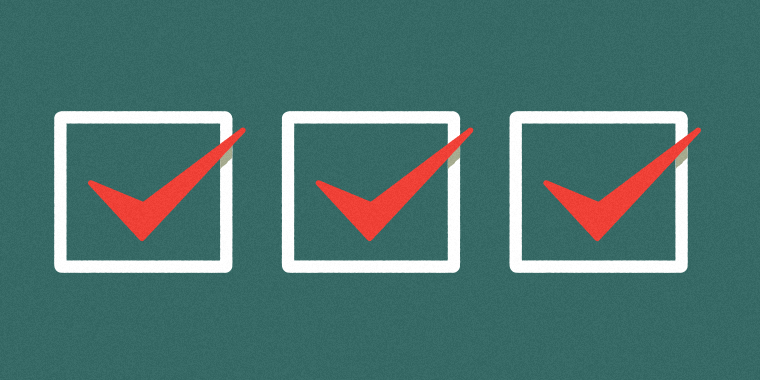 Here are three things you should know about scoring your Quizmaker assessments. Let’s start with setting the default value assigned to questions. Assigning the same point value to all or most of the questions in a quiz can be a big time-saver, as you don’t have to enter each question’s point value individually. 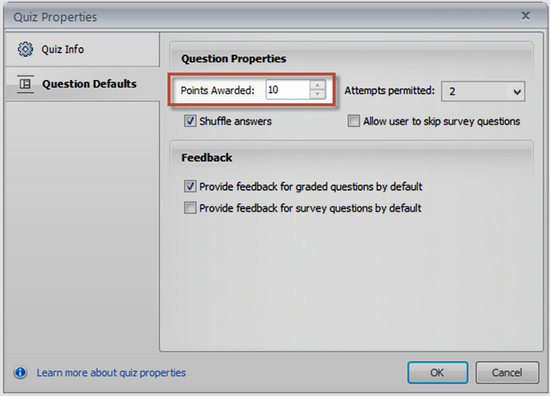 Configuring the default value of your Quizmaker questions is easy to do in the Quiz Properties area. 1. Switch to Question List View. 2. Go to the Home tab, and click Quiz Properties. 3. In the Quiz Properties window, select the Question Defaults tab, and enter the number of points awarded for correct answers on new question slides. Points can range from -1000 to 1000. Note: It’s a good idea to set your question defaults before adding any slides to your quiz, because changes to your default settings do not affect existing quiz questions. Because quiz questions don’t always carry the same weight, you may want to customize the points awarded for Multiple Choice, Word Bank, Free-Form Pick One, and Free-Form Hotspot questions. 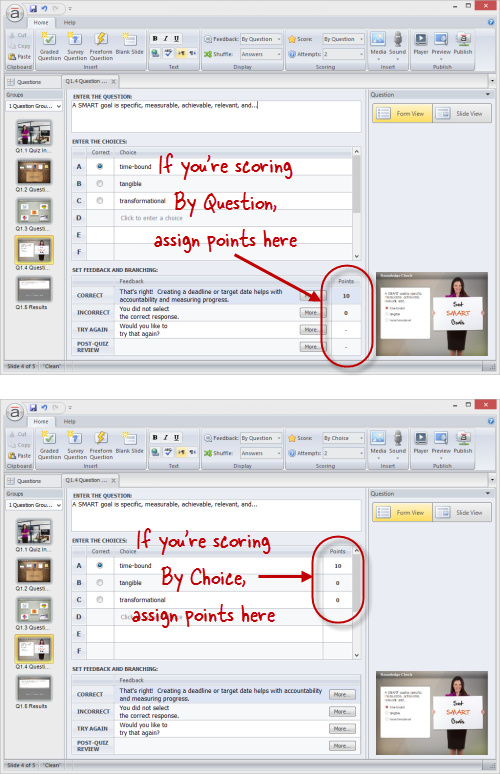 Here are some options for assigning custom point values to these types of individual quiz questions. 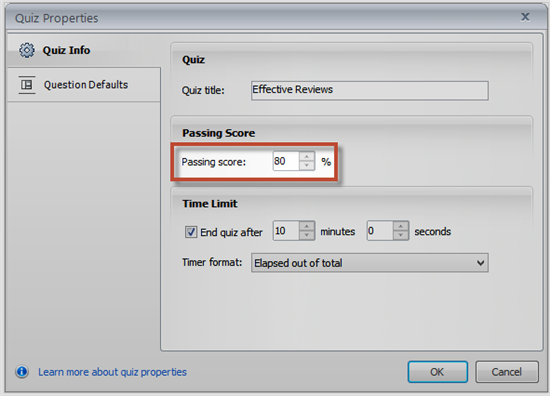 By default, Quizmaker views answers as either correct or incorrect, and awards points with no partial credit. However, you can also assign different scores for each answer choice. Additionally, for free-form questions you can also set the scoring to None, which prevents the question from being scored at all. To customize the scoring option in Form View, go to the Home tab on the Quizmaker ribbon and use the Score dropdown to select the appropriate option. After selecting a scoring option, you can enter values for correct and incorrect answers in the appropriate point fields. If you’re scoring By Question, the point fields are at the bottom of the window. If you’re scoring By Choice, they’re to the right of each answer choice. Passing scores are unique to the quiz and the course, and you have the flexibility to set whatever passing score you’d like in Articulate Quizmaker. To set the passing score, click the Quiz Properties button on the Home tab of the Question List View and enter the percentage score required to pass your quiz. And that’s it! With these handy tips, you can score your quizzes more precisely and gain a clearer picture of how well learners understand your course material. Got a tip for scoring quizzes? Post a comment below and share your experience! If you want to try this yourself but don’t have Studio ’13, no problem. Just sign up for a fully functional, free 30-day trial. And don’t forget to post your questions and comments in the forums! We’re here to help. For more e-learning tips, examples, and downloads, follow us on Twitter. Can someone tell me why my quiz maker does not provide the Score by Choice in the drop down box? Hi Lynne! Not all question types have the By Choice option for scoring. Multiple Choice, Word Bank, Freeform Pick One, and Freeform Hotspot are ones that do.